Jobs Pakistan Sustainable Transport Project CIU-Trucking August 2015. Copyright The Daily The Jang Newspaper Pakistan. Project Manager Jobs In Lahore August 2015. Copyright The Daily The Jang Newspaper Pakistan. Technical Director Jobs In Lahore August 2015. Copyright The Daily The Jang Newspaper Pakistan. Jobs Public School Hyderabad August 2015. Copyright The Daily The Jang Newspaper Pakistan. 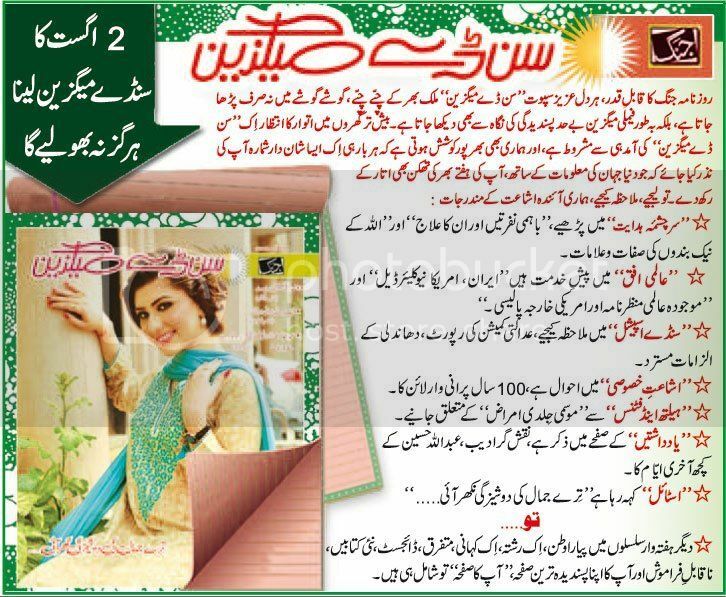 Jang Sunday Magazine 02nd August 2015. Copyright The Daily The Jang Newspaper Pakistan. Commodity Prices In Pakistan 30-07-2015. Copyright The Daily The News Newspaper Pakistan. Forex Currency Exchange Rates Pakistan 30-07-2015. Copyright The Daily The News Newspaper Pakistan. 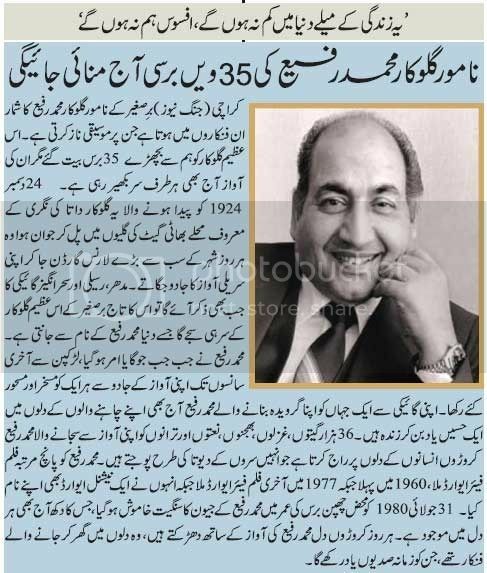 Mohammed Rafi 35th Death Anniversary 31st July 2015. Copyright The Daily The Jang Newspaper Pakistan. Namaz Timings In Karachi Today 31-07-2015. Copyright The Daily The News Newspaper Pakistan. Federal Ombudsman Problem Resolution in Only 60 Days. Helpline 1055 www.mohtasib.gov.pk Copyright The Daily The Jang Newspaper Pakistan. Karachi Weather Forecast Today 31-07-2015. Copyright The Daily The News Newspaper Pakistan. Horoscope and Birthdays 31st July 2015. Copyright The Daily The News Newspaper Pakistan. Jobs Board of Intermediate and Secondary Education Sargodha Punjab 2015. Copyright The Daily The Jang Newspaper Pakistan. 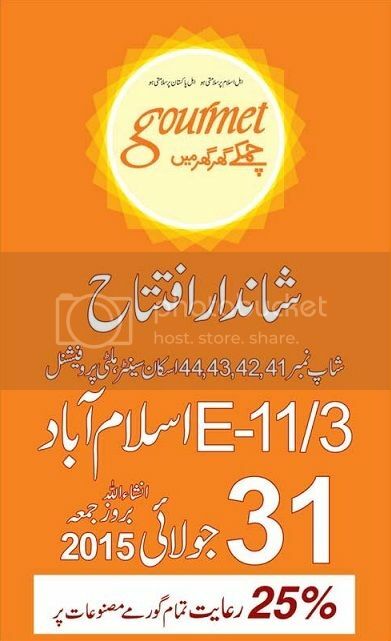 Gourmet Islamabad E-11/3 Shop Opening 31st July 2015. 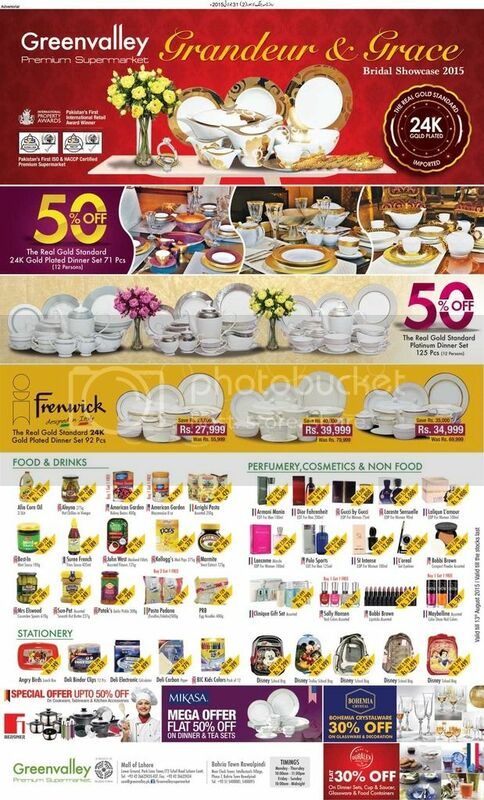 25% Discount on All Gourmet Products. Copyright The Daily The Jang Newspaper Pakistan. 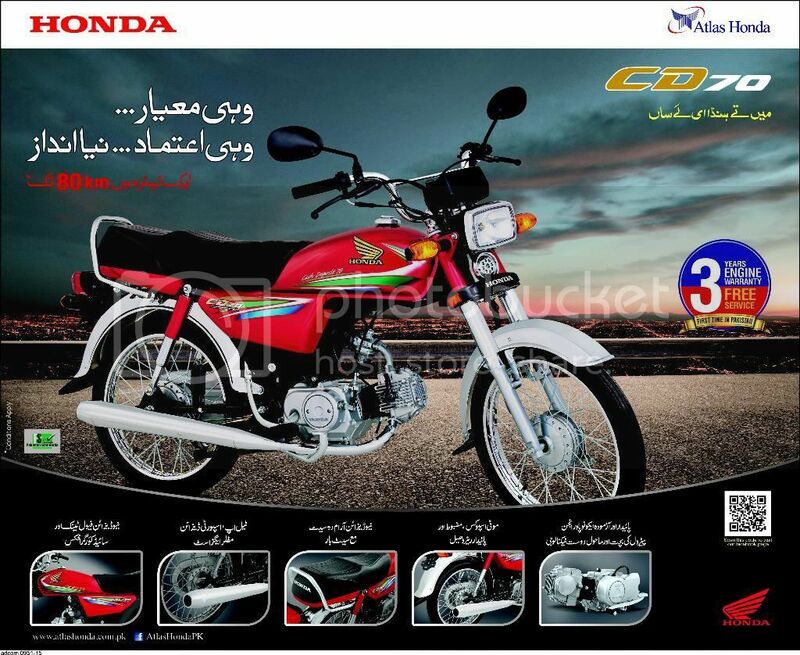 Honda Cd-70 Upto 80 Km In 1 Liter 3 Years Engine Warranty Free Service. Copyright The Daily The Express Newspaper Pakistan. 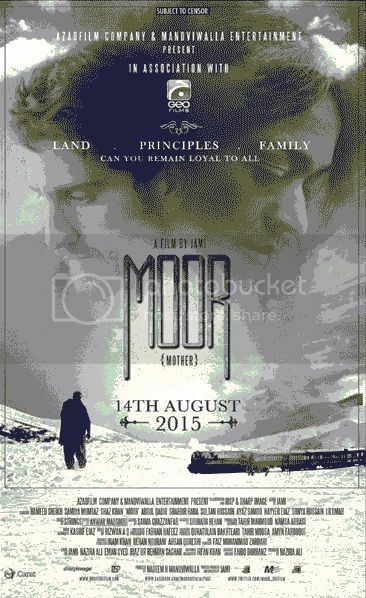 Moor Pakistani Movie Release Date 14th August 2015. Copyright The Daily The Jang Newspaper Pakistan. Computerized System of Land Records Government of Sindh. Copyright The Daily The Tribune Newspaper Pakistan. 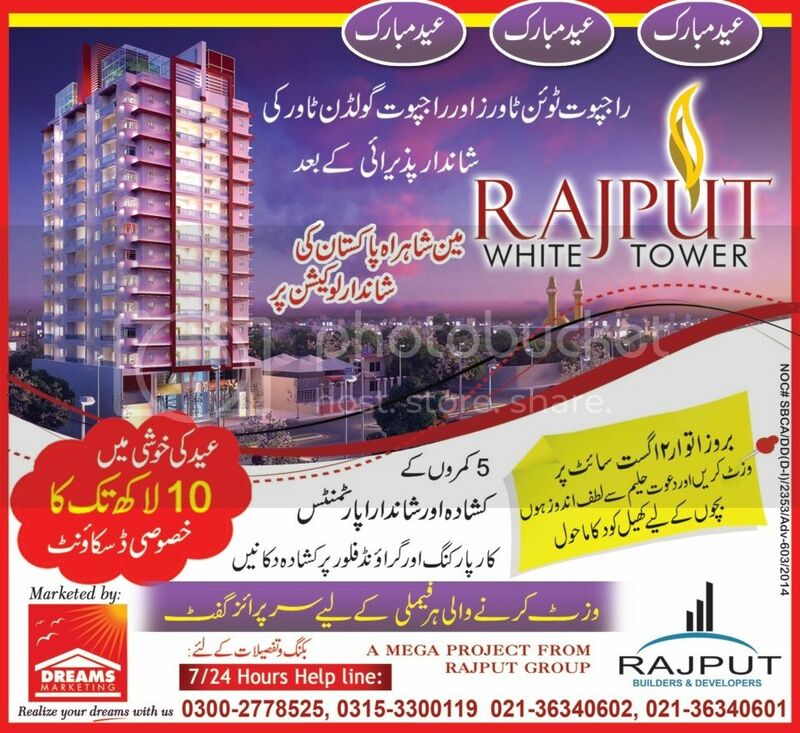 Rajput White Tower 5 Rooms Apartments Upto 10 Lacs Discount. Copyright The Daily The News Newspaper Pakistan. Ghori Comforts 3,4 and 5 Rooms Apartments Eidi Offer Save 2 Lacs. 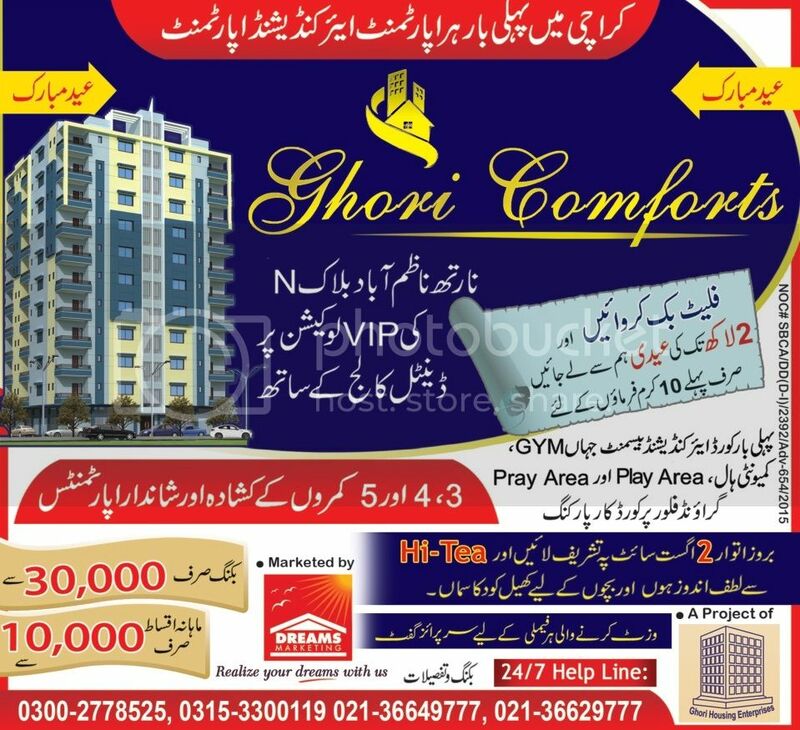 Ghori Comforts 3,4 and 5 Rooms Apartments Eidi Offer Save 2 Lacs. Copyright The Daily The News Newspaper Pakistan. Jobs Shaheed Mohtarma Benazir Bhutto Medical College Karachi August 2015. Copyright The Daily The Tribune Newspaper Pakistan. LUMS Center For Entrepreneurship. Copyright The Daily The Tribune Newspaper Pakistan. Greenvalley Grandeur & Grace Bridal Showcase 2015. Copyright The Daily The Jang Newspaper Pakistan. 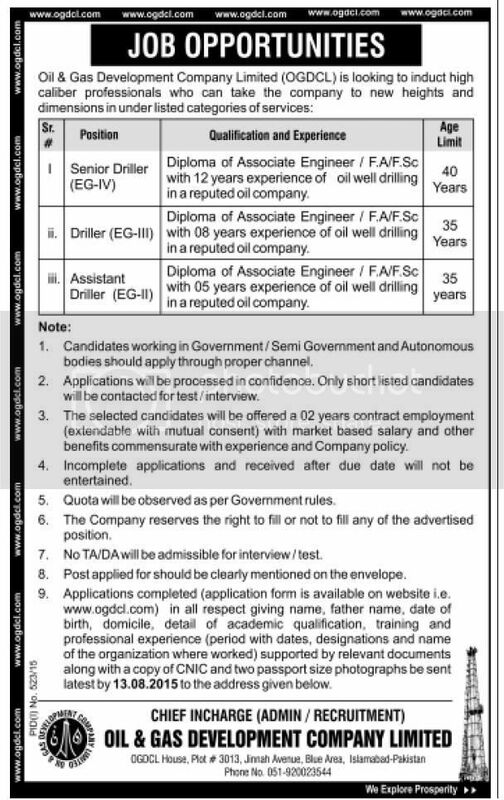 Jobs In OGDCL August 2015. Copyright The Daily The Tribune Newspaper Pakistan. Marina Home The Unconventional Inspire Now Open In Lahore. Copyright The Daily The News Newspaper Pakistan. Debenhams Up to Half Price Sale Every Department. Copyright The Daily The Tribune Newspaper Pakistan. 7 Things Not To Do When You Are Stressed. Copyright The Daily The Tribune Newspaper Pakistan. Namaz Timings In Karachi Today 30-07-2015. Copyright The Daily The News Newspaper Pakistan. Government Apwa College Lahore For Women Jobs August 2015. Copyright The Daily The Jang Newspaper Pakistan. Karachi Weather Forecast Today 30-07-2015. Copyright The Daily The News Newspaper Pakistan. Trainee Country Financial Controller Islamabad Job August 2015. Copyright The Daily The News Newspaper Pakistan. Commodity Prices In Pakistan 29-07-2015. Copyright The Daily The News Newspaper Pakistan. Forex Currency Exchange Rates Pakistan 29-07-2015. Copyright The Daily The News Newspaper Pakistan. 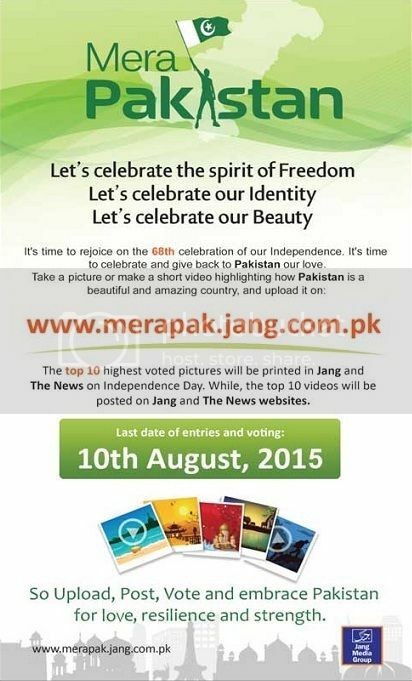 Jang Mera Pakistan 68th Independence Celebration 14 August 2015. Copyright The Daily The Jang Newspaper Pakistan. DG NADRA Jobs Ministry of Interior Government of Pakistan. Copyright The Daily The News Newspaper Pakistan. Horoscope and Birthdays 30th July 2015. Copyright The Daily The News Newspaper Pakistan. Swift Finance at 8%. Standard Chartered Bank Pakistan Priority Banking sc.com/pk Copyright The Daily The Tribune Newspaper Pakistan. Jobs Land Record Management & Information System August 2015. Copyright The Daily The Jang Newspaper Pakistan. Animal Print Makes A Roaring Return. Copyright The Daily The Tribune Newspaper Pakistan. Science Talent Farming Scheme Vision 2025 Pakistan. Copyright The Daily The Jang Newspaper Paksistan. Jobs International Islamic University Islamabad August 2015. Copyright The Daily The Jang Newspaper Pakistan. Manager Administration Fast Chiniot Faisalabad Campus 2015. Deadline 10th August 2015. Copyright The Daily The Jang Newspaper Pakistan. Forex Currency Exchange Rates Pakistan 28-07-2015. Copyright The Daily The News Newspaper Pakistan. Principal and Campus Coordinator Jobs In UET Lahore 2015. Copyright The Daily The Jang Newspaper Pakistan. Jobs In Cadet College Ghotki August 2015. Copyright The Daily The Jang Newspaper Pakistan. 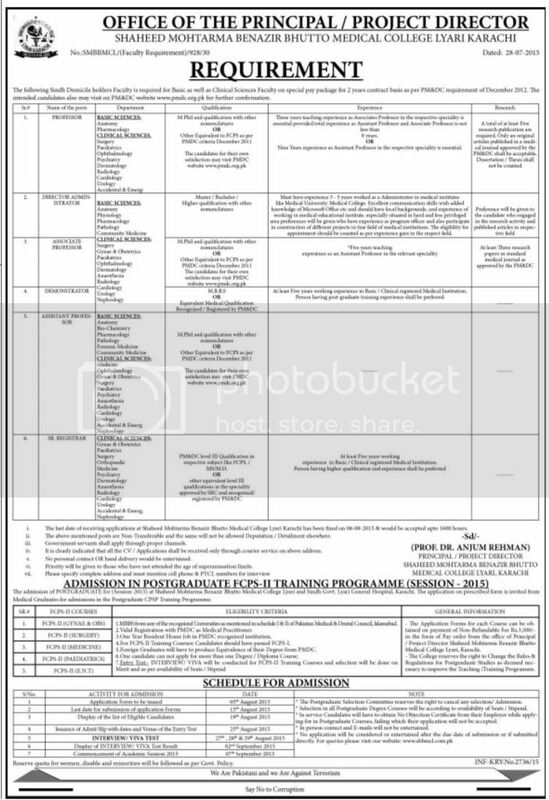 Principal Jobs BPS-20 Cadet College Ghotki August 2015. Copyright The Daily The Jang Newspaper Pakistan. Commodity Prices In Pakistan 28-07-2015. Copyright The Daily The News Newspaper Pakistan. 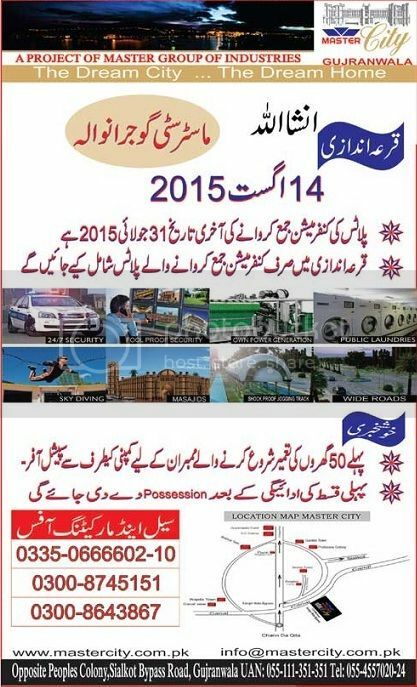 Master City Gujranwala Draw Date 14th August 2015. Copyright The Daily The Jang Newspaper Pakistan. Spice Bazaar Lahore Review For Pack of Desi Punch. Copyright The Daily The Tribune Newspaper Pakistan. Horoscope and Birthdays 29th July 2015. Copyright The Daily The News Newspaper Pakistan. Pharma Jobs In Medipak Lahore August 2015. Copyright The Daily The Jang Newspaper Pakistan.